Windell R. Bonner, Sr., graduated from Northwestern St. Univ. in May 1982 with a B.S. Degree in Industrial Engineering Technology. He ran track for 4 years as a middle distance and was a member of the cross-country team. Windell joined the U.S. Army Reserves 1982 as a Light Wheel Vehicle Mechanic. He mobilized as a reservist to Fort Polk, LA from 2003-2006 and again from 2008-2011. From 2012-2015 he resided in Fort Hood, TX while still in the reserves. Windell served on Active Duty in Korea in 1988-1989, Fort Riley, KS from 1989-1992 and was deployed overseas during Desert Storm in 1991 to Saudi Arabia, Iraq and Kuwait. He received several awards to include the Meritorious Service Medal, Army Commendation Medal, Army Achievement Medal, Army Good Conduct Medal and the National Defense Service Medal. In between mobilization and active duty in the Army, he worked as a mechanical and architectural draftsman, residential carpenter, sales consultant, Engineering Technician, and a residential rental property owner. Some of the companies employed by were Firebond Corp., LA DOTD, Ford Car Dealership, Nissan Car Dealership, Sears and Durham Manufacturing Co.
After serving 32 years in the Army and Army Reserves, Windell R. Bonner, Sr. is now a proud owner/manager of JDog Junk Removal and Hauling Service in the Northwest Louisiana Area. 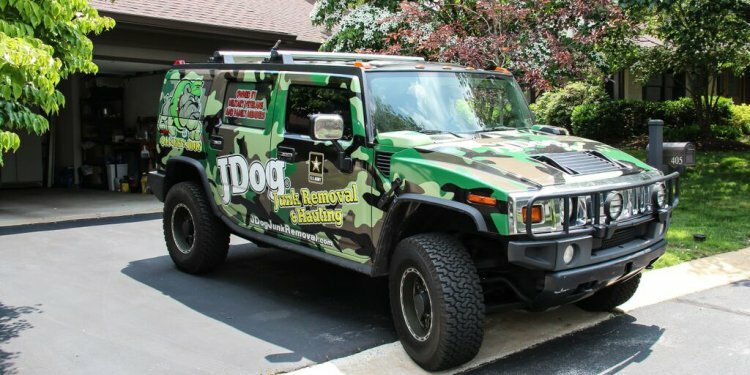 The goal is to serve the community with their junk removal and hauling needs while up-holding the military values of Respect, Integrity and Trust with each and every customer. This is our job, our service, our duty and most of all our service to humanity. As Veterans of the United States Military, this is how we were trained and this is what we know best.